Romanian C-27J conducts a very special transport. 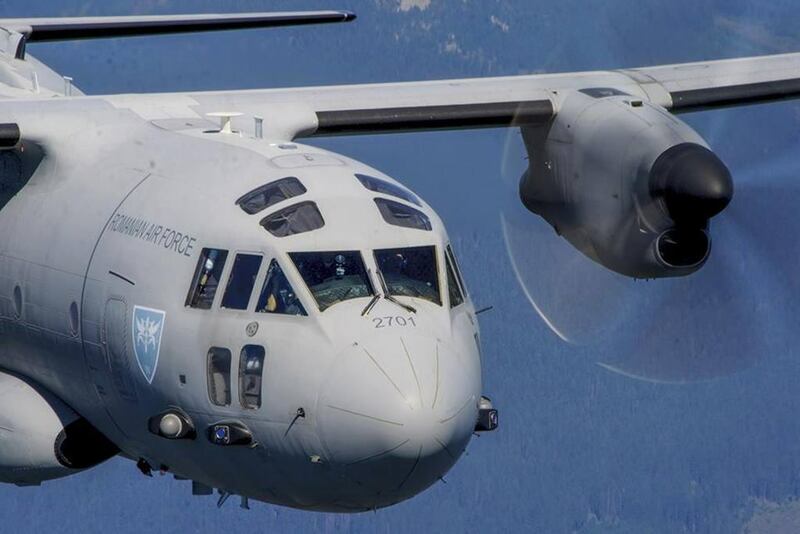 On April 5, 2019, a C-27J Spartan aircraft of the Romanian Air Force conducted a very special mission when it transported to France the royal crown worn by Queen Mary during the crowning ceremony in 1922 and the liturgical flag of Stephen the Great. The pieces come from the Romanian National Art Museum and the History Museum in Bucharest. The aircraft took off from Otopeni airport, Romania, and reached the Vélizy-Villacoublay Air Base, France, after about 5 flight hours. The two historical finds will be exhibited during the Franco-Romanian Cultural season, in Paris and Reims. The crown and the flag will be the centerpiece at two exhibitions that will be organized at the Tau Palace in Reims and at the Louvre Museum in Paris. The Franco-Romanian cultural season represents an important project to reinforce the relationship between the two nations and was launched in Paris on November 27, 2018. It is included in a joint programme of the Romanian Ministry of Foreign Affairs and its French counterpart.